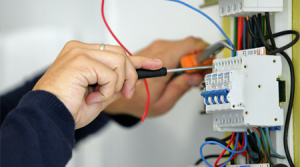 You are making the ideal connection if you are looking for an electrical contractor in Fort Lauderdale, Boca Raton, or Boynton Beach, Florida. In addition to these communities, we also help people that need an electrical contractor in Davie, Coral Springs, Coconut Creek, Parkland, and Sunrise, Florida. We are the best at what we do for a number of different reasons, and the first one is the quality of our electrical contractors out in the field. Our company was founded by a master electrician, and everything that we do is influenced by his experience and expertise. Since we are led by the best of the best, you can rest assured that we hire highly skilled electricians, and we provide ongoing training, because technology advances rapidly in our industry. Our company can handle all types of residential work, including panel upgrades, ceiling fan installations, indoor lighting fixture installations and repairs, cabling, security system installations, and outdoor lighting design. Plus, total home lighting control systems are very popular, and this is another area of expertise for our electrical contractors. In addition to the services that we provide for local homeowners in Coral Springs, Coconut Creek, Davie, and the other cities that we serve, we are also commercial electrical contractors. Regardless of the nature of your business or the size and scope of the assignment, we can and will satisfy your needs and exceed your expectations. 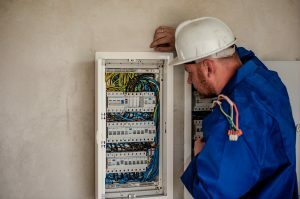 We work on existing structures, and we can also be called upon to provide electrical assistance if you are involved in a new construction project. Fire alarm installations are another area of expertise for us, and we source top quality products from the leading manufacturers in the industry. The electrical systems in your home or business are extremely important, so you have to be certain that the electrical contractor that you engage is truly qualified. As we have stated, our team is second to none, and we go the extra mile to exceed the expectations of each and every client that we serve. Whenever you need an electrical contractor in Fort Lauderdale, Boca Raton, Boynton Beach, or any other city in Miami-Dade or Broward County, call MMJ Electric at 954-876-1536.